Here there is a choice of methods depending on the resources available. Assemblies in Ireland, Canada, and the Netherlands have used methods making it possible for any member of the electorate to be selected into the assembly. Such methods – which are described in detail in a recent Constitution Unit report – are the gold standard for official assemblies. But they are beyond the financial means of an unofficial body such as the Citizens’ Assembly on Brexit, and they also do not lend themselves to detailed research into the recruitment dynamics. 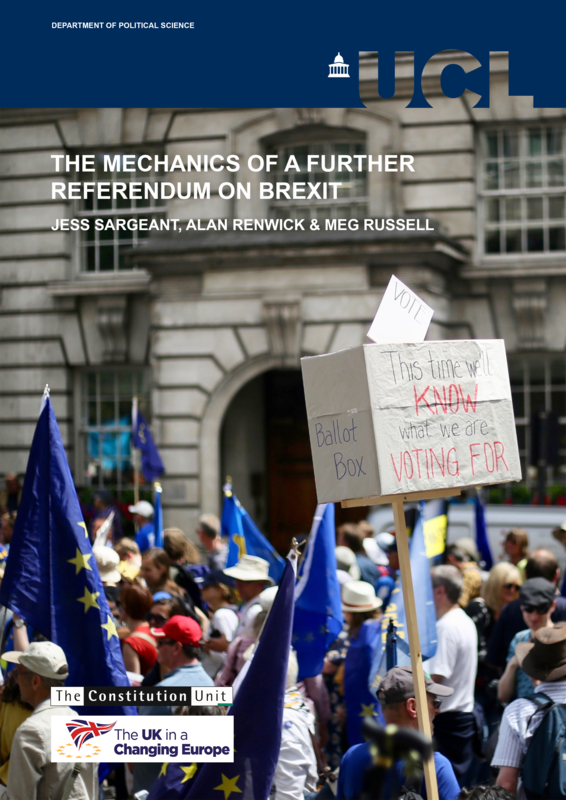 Instead, we have built on methods trialled in 2015 by Democracy Matters: a project led by Matthew Flinders at the University of Sheffield, in which many of the Brexit assembly team were also involved, which ran two local citizens’ assemblies. This method is selection through an existing representative online panel. Democracy Matters used YouGov’s panels in the areas concerned. For the Citizens’ Assembly on Brexit, we have worked with ICM. Starting with an existing panel cuts costs considerably. It also allows us to track very closely who is signing up or dropping out at each stage of the process. 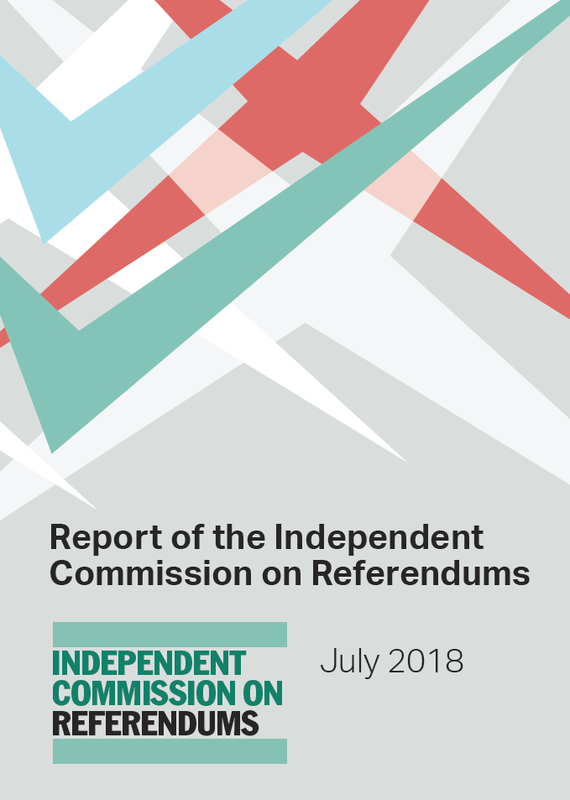 For the Citizens’ Assembly on Brexit, we adopted six stratification criteria: age, gender, region, ethnic background, social class, and, whether people voted to Leave or Remain, or didn’t vote at all, in the 2016 referendum. Considering the nature of the Brexit topic, this last criterion was crucial for the legitimacy of the Assembly and its findings and for the quality of the deliberations. We calculated the quotas from ONS mid-year population estimates and the National Readership survey – which is used to calculate social class – as well as the official referendum results. We initially contacted potential members through an ICM survey, reaching a representative sample of 5,000 people across the UK. We asked respondents a variety of questions about their political views and interests. We also told them a little about the assembly and asked if they would be interested in attending. Having thus identified potential Assembly members, we used our stratification criteria to work out whom to approach for a conversation about signing up. We initially contacted 53 people (our target number of 45, plus an extra eight people to allow for possible no-shows on the day), replacing those who were unable to attend when needed. We contacted potential members in the first instance by e-mail, asking them to fill out a Doodle poll indicating when we could phone them. We called those who did not respond after a couple of days. We tried calling three times and left messages; after that, if they still had not responded, we replaced them on the list with another person meeting the same stratification criteria. Recruiting members is not the only challenge: it is also necessary to retain them, so that they do come to the first meeting and remain throughout the subsequent process. One lesson from previous citizens’ assemblies is the importance of good communications with members before the first meeting. Being both approachable and professional is vital, and multiple channels of communication are needed, depending on people’s preferences. We have a team of three people who contacted potential Assembly members initially and have maintained contact subsequently. They have been able to build up relationships with many members by name. Another lesson is the importance of considering the barriers to attendance that people may face. In addition to their travel expenses and hotel accommodation, members will be gifted £200 per weekend. This is designed as an incentive: if we did not offer it, the membership would be strongly skewed towards those who are unusually interested in politics. But it also helps people with childcare and other responsibilities to meet the costs of making alternative arrangements. Because this is provided as a gift, members who are receiving out-of-work benefits will not face sanctions. Finally, we have ensured that our meeting venue and materials meet members’ particular requirements, including those with mobility issues, hearing impairments or dyslexia. Of the 5,000 people contacted by ICM, 1,179 said they were willing and able to attend both weekends of the Assembly. This is an exceptionally high response rate: Martin Boon, Director of ICM has described himself as ‘stunned’ by the level of public interest. It reflects the great ongoing interest in Brexit from voters (and, indeed, non-voters) on all side of the debate. At the time of writing, 51 Assembly members are signed up to attend. 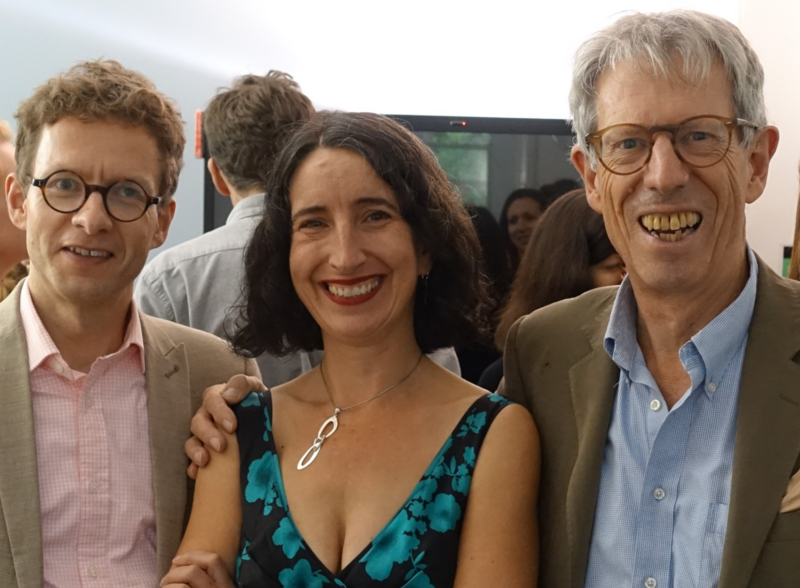 A few people who initially accepted our invitation have, for various reasons, had to pull out. But the vast majority are highly engaged with the project and say they are really looking forward to the first weekend. One commented that she ‘would like to be involved in one of the most important decisions we are making as a country’. We have exchanged e-mails and phone calls, and all members have received a briefing pack in the post. The members are, as planned, broadly representative of the UK electorate on all of our stratification criteria. Importantly, the proportions of Leave and Remain voters reflect the proportions in the population as a whole, and there is representation from those who did not vote in the referendum. In addition to the members of the Assembly, we have identified a control group of people who responded positively to the original ICM survey, but whom we have not invited to participate in the Assembly. We have constituted the control group through what is called a ‘matched pair design’, ensuring that each Assembly member has a pair in the control group who matches them on our six stratification criteria. Follow-up surveys with the Assembly members and the control group will provide a powerful way of ascertaining the degree to which any changes in the Assembly members’ views are due to their participation in the Assembly or other external factors. 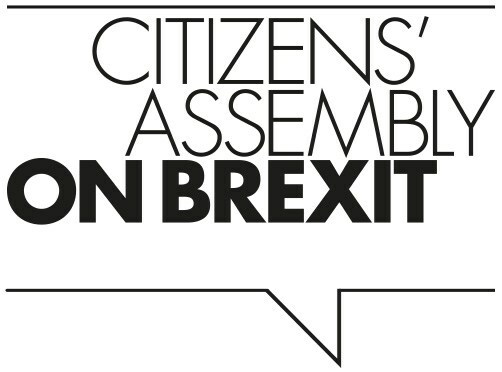 The Citizen’s Assembly on Brexit will give a small but broadly representative sample of people the chance to come together and deliberate about the most important issue facing the UK today. 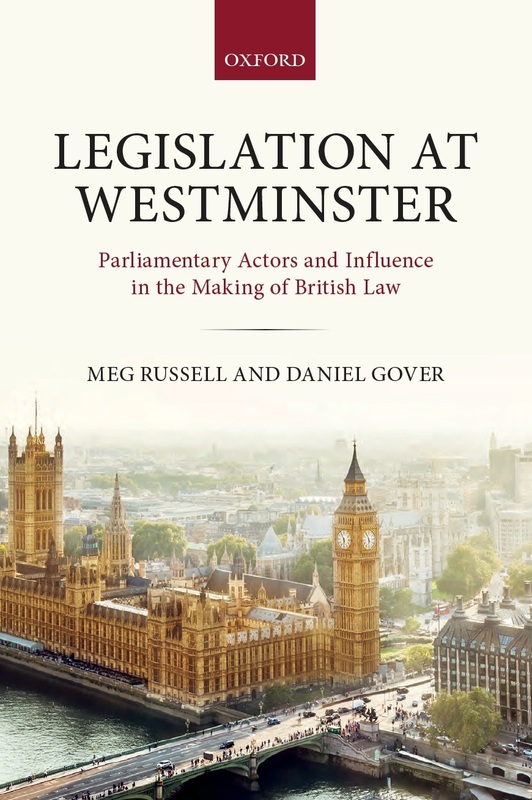 It will give decision-makers in Whitehall and Westminster deep insights into the reasoned and informed conclusions of a group of regular UK citizens. Will Jennings is Survey Consultant for the Citizens’ Assembly on Brexit, and Professor of Political Science and Public Policy at the University of Southampton. Aleksei Opacic is part of the Member Recruitment and Liaison Team for the Citizens’ Assembly on Brexit, and a Research Volunteer at the Constitution Unit. 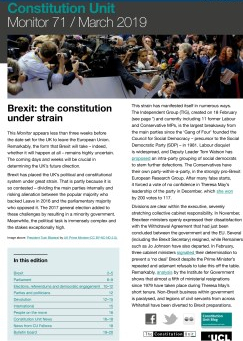 This entry was posted in Europe, Public Engagement and Policy Making and tagged Alan Renwick, Aleksei Opacic, Brexit, citizens' assemblies, Citizens' Assembly on Brexit, Rebecca McKee, Will Jennings. Bookmark the permalink. Diversity should not be used as English culture is English culture not all the other tribes around the world. Pingback: The Citizens’ Assembly on Brexit: how did it work? Indeed. Everything depends on context starting with the definition of the groups in the stratification. Presumably you define them by characteristics you deem relevant to your purpose and the influence they would be expected to have on any decisions or views asked of the assembly at any particular time. What constitutes a quorum? What about the group represented by one person who just can’t make it that day? I would assume that the people keenest to attend would represent groups making the most noise, whatever age, gender or other category is applied to them. It’s ironic that this proposal comes from people who dismiss political groups like UKIP and their views as mere populism. How many in your strata represent, prisoners in various categories, homosexuals, lesbians and other varieties of sexuality, unemployed, social security net beneficiaries, the wealthy, the self-employed, retired, poor, skilled, unskilled, managerial, professionals, medics, climate scientists, media. political activists (anything from restoration of capital punishment to CAGW activists, Black Lives Matter or SJWs), supporters or members of political parties etc. I guess you have decided some of these people are less important than others. And then you get to analysis. rather than the principle of all views matter equally I have not the slightest doubt you will analyse them by strata so that action can be taken to deal somehow with those not conforming to what you or some small part of the assembly will define indirectly as the central consensus. In fact it would not be a consensus unless all agreed. Consensus lies in what is agreed, not the numbers supporting or rejecting it. And what exactly will the Assembly be asked to consider. No doubt it will be carefully framed and discussion monitored to manoeuvre the outcome as you wish. it has become very clear to me reading a great deal about Brexit that most people do not check the facts themselves, they rely on the say-so of someone whose views they tend to agree with. Thanks to the EU popping up for the second reading of the Great Repeal Bill to tell us the notice under Article 50 can be withdrawn. that was always true, provided all parties agreed. But before the referendum the commonly held view on both sides was that it could not. They relied on it either to vote yes and get the notice sent out asap for a quick clean Brexit or to vote no and afterwards to use every means possible to delay its being sent. The fact none of these people checked is that the EU treaties are silent on the question. There was no legal barrier but they all made it sound as if there were and the population just took their word for it. The issue of the ECJ’s jurisdiction is another. The idea that one party to a treaty should not be the arbitrator in any dispute should be beyond discussion. So why is it being discussed at all? The media, who love to consider themselves as guardians of liberty happily take it seriously. MPs do. If they are that bad what are to make of untutored plebs in a citizen’s assembly? Oh well, if you are not going to ask them anything difficult or subtle, I guess it doesn’t matter what the outcomes of the assembly’s deliberations are. So, good luck. Don’t ask for money.